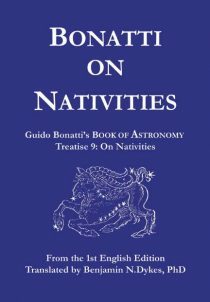 Guido Bonatti was one of the most famous of medieval astrologers. 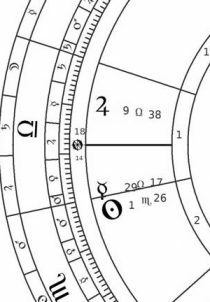 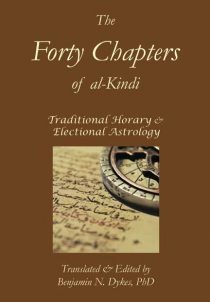 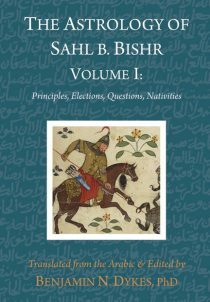 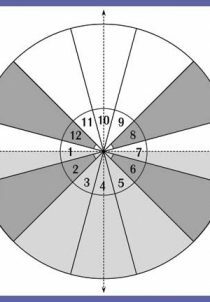 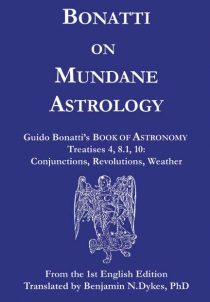 An advisor to important politicians in 13th Century Italy, his astrological advice influenced key events in his tumultuous times. 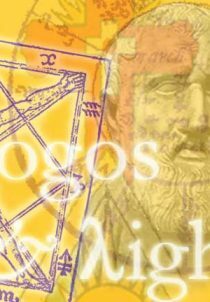 He was so well known and influential that Dante includes him in the Inferno! 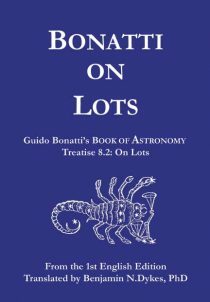 The Book of Astronomy offers an unparalleled glimpse into the working life of a medieval astrologer. 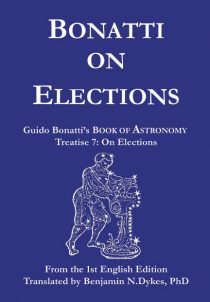 For the first time, charts from Bonatti’s own practice are correlated with events in his life and other political events. 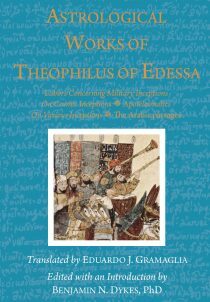 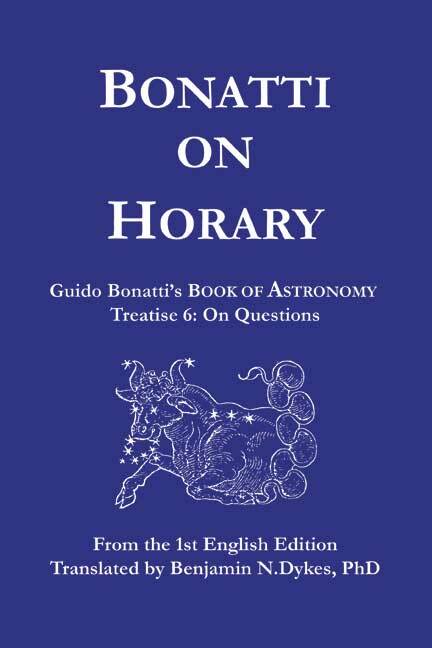 Only small portions of the Book of Astronomy have ever been available in modern languages. 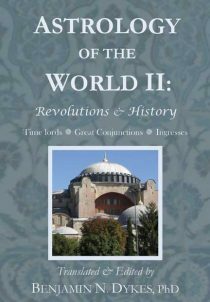 This monumental work, several years in the making, makes the remaining 75% available. 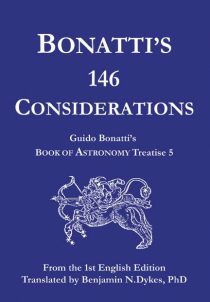 At a length of almost 1,600 pages, Bonatti’s Book of Astronomy is unparalleled in traditional astrology in its size, scope, and importance. 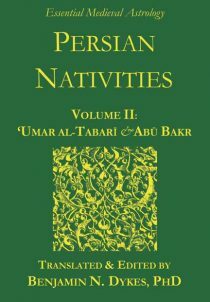 It is essential for serious students and scholars. 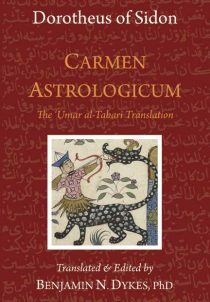 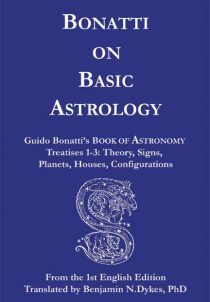 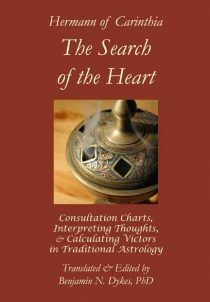 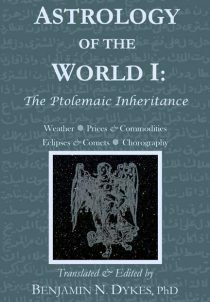 This volume contains Treatise 1-3 of Bonatti’s Book of Astronomy, which covers all areas of basic astrological principles and interpretation, as well as a defense of astrology. 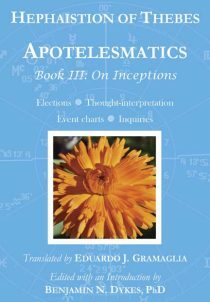 Click here for a PDF excerpt.